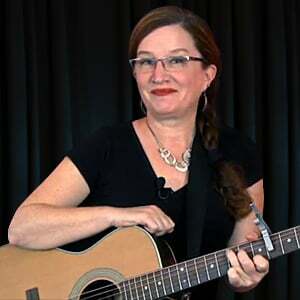 In this set of lessons, you'll learn what the most likely chords to appear are in the key of C, and, how to navigate changing between these chords smoothly and on time. You'll also learn to play a new song in the key of C, called "Keep That Faith". In this first lesson, we'll use the concept of the "one chord", the "four chord", and the "five chord" to figure out what the major chords are in the key of C.
Turns out they will work out to be C, F, and G.